Updated Saturday April 25, 2015 by Franklin Little League. The Challenger Division is a non-competitive division for players ages 6 and older with a variety of disabilities. No score or standings are kept and each game lasts approximately four innings. Each team only plays other Challenger Division teams. Players have physical, cognitive or emotional disabilities that might prevent or impede their play in other divisions. Players coming into the Challenger Division are not required to tryout and are assigned to a team composed of a diverse group of players with varying ages and skills. Based on their individual ability, players can develop fundamental baseball skills such as throwing, catching, hitting, running and supporting their teammates. Batters, with or without assistance, may hit from a tee or receive pitches from the opposing team’s coach. Pitches are underhand and slow and will continue until the batter is able to successfully hit the ball into the field of play. Every player has the opportunity to bat in each inning. After batting, the player runs each base as the next player bats, eventually reaching home plate. A key aspect of this division is for the coaches and adult volunteers to provide positive feedback and encouragement to the players. There are two or four teams, based on the number of players signed up for each season. 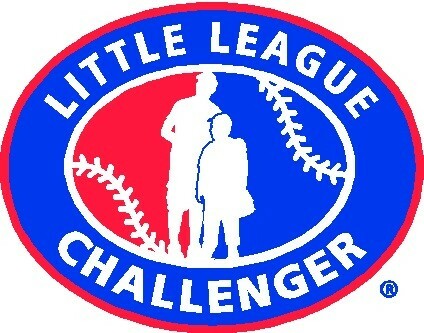 This division usually starts in mid-May and plays approximately 10 games, weather permitting, on Saturdays at Franklin Little League Complex, Diamond 6.